Each year from approximately September 1 to March 1, a large-scale hunt of dolphins takes place in the small village of Taiji, Japan, as made famous by the 2010 Academy Award-winning documentary “The Cove.” During this period, fisherman, or more appropriately, dolphin hunters, utilize drive hunt techniques to herd large numbers of dolphins to shore, resulting in their capture or death. Dolphin Project is the only organization to have been on the ground in Taiji since 2003. Utilizing revolutionary live streaming, we document and broadcast the results throughout the course of the entire season in hopes of bringing this cruel practice to an end. Who is killing the dolphins? The capture of dolphins in Taiji is carried out by about 26 fishermen, and the dolphins are legally killed according to permits from the government. Most of the people in the town of Taiji have nothing to do with the hunts. Nor do the Japanese people as a whole, many of whom have never even heard of the hunts. Why is it called a “drive fishery”? The term “drive fishery” derives from the method of driving, or herding dolphins into a designated killing cove or harbor. We avoid the term “drive fishery,” as it leads many to believe that we are talking about fish rather than large marine mammals. Therefore, we call it a “dolphin drive hunt.” The annual dolphin drive hunt is one part of coastal whaling conducted in Japan. How do they capture the dolphins? The fishermen of Taiji have developed a highly effective method of locating, capturing and eradicating dolphins, sometimes as many as one hundred or more in a single day. Just before sunrise, a fleet of 12 motorized boats leave the harbor in search of wild dolphin pods, heading to deep water where the dolphins migrate. The dolphins have been using these migratory paths for thousands, perhaps millions, of years, and the hunters know exactly where to find them. They fan out for many miles offshore, beyond the horizon. When a pod is located, the fishermen position their boats one behind the other, perfectly evenly spaced. They lower several stainless steel poles into the water, one on each side of each boat. The poles are flared out at the bottom much like a bell, which amplifies the sound produced as the hunters repeatedly hit the poles with hammers. The noise creates a wall of sound underwater, and the dolphins find themselves trapped between this wall of sound and the shoreline. In an attempt to escape the sound, the dolphins swim in the opposite direction, toward the shore. The dolphins’ panic and with the loss of their navigational sense, the fishermen can drive them into a small cove near Taiji harbor. The process may take several hours, during which the dolphins grow exhausted. 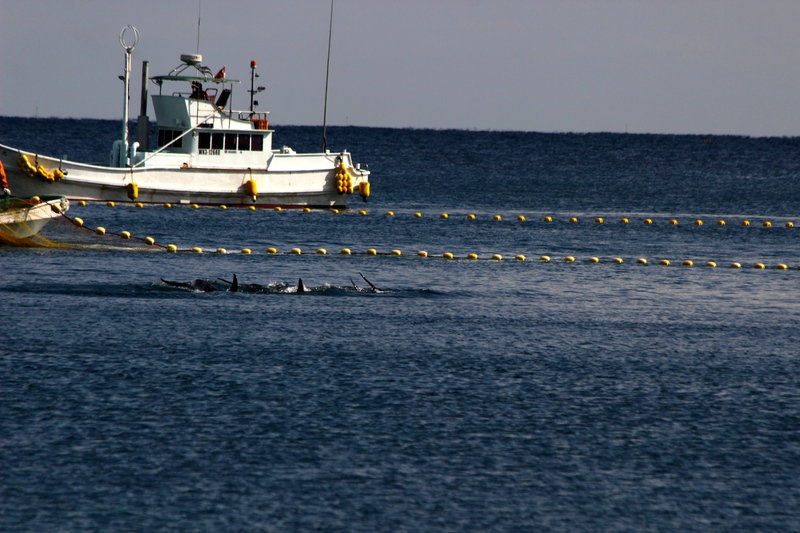 Nets are drawn across the mouth of the cove to close off all exit routes so the dolphins remain trapped. The dolphins are either left overnight or “processed” same-day. 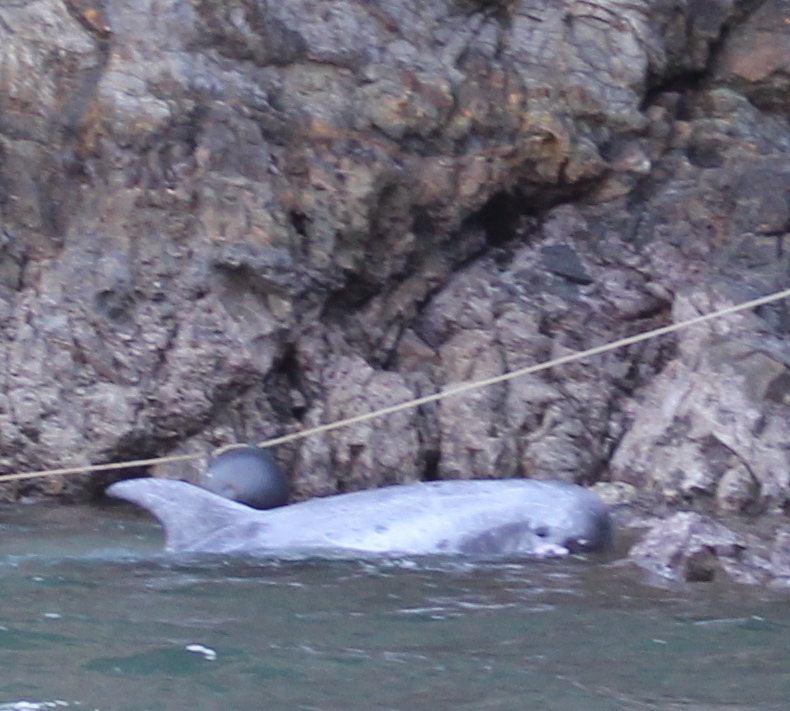 Fishermen then force the dolphins into shallow water, close to the rocky beach. Here, they are slaughtered, or inspected as part of captive selection. How do they kill the dolphins? 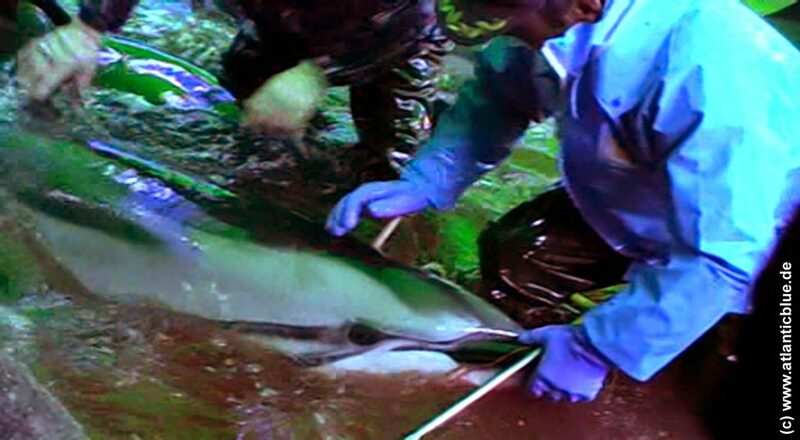 When the documentary “The Cove” was filmed, fishermen killed the dolphins with long, sharp spears. Often times, they would stab the dolphins with sharp fishermen’s hooks and haul the still-living dolphins onto their boats. The dolphins thrashed about in their own blood, and their screams filled the air. The slaughter turned the waters of the cove red with blood. Since “The Cove” came out, the fishermen have altered their killing methods. 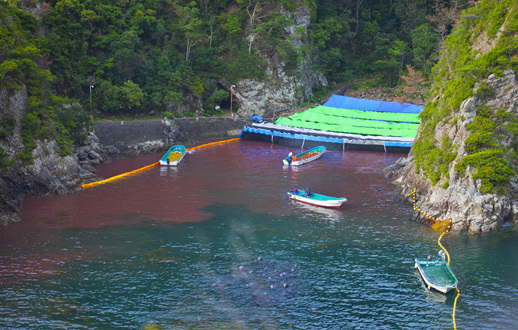 They now pull the dolphins underneath an array of plastic tarps (set up to prevent us from filming the slaughter). There, the fishermen push a sharp metal spike into the dolphins’ necks just behind the blowholes, which is supposed to sever the spinal cord and produce an instant “humane” death. The fishermen then push dowel-like wooden corks into the wounds to prevent their blood from spilling into the cove. In reality, there is nothing humane about this. In fact, we have film footage from hidden cameras that show the dolphins thrashing for several agonizing minutes. What we cannot see we can hear, as the dolphins slap their tails frantically until they are silenced, in death. Cove Monitors have even observed some dolphins still alive and moving when they are hauled to the slaughter house. Our veterinary and behavioral analysis of video documentation of this method indicates that it does not immediately lead to death and that the time to death data provided in the description of the method, based on termination of breathing and movement, is not supported by the available video data. Why do they kill the dolphins? Officially, the main purpose of the dolphin hunt is to provide dolphin meat to the Japanese people – but only a small minority of people in Japan actually eat the meat. During our many campaigns in Japan, we received the impression that dolphin meat is considered “trashy,” unlike the much more expensive whale meat. DNA tests on meat labeled “whale meat” in Japanese markets have revealed the meat is in fact falsely-labeled dolphin meat. Whale meat sells for more money than dolphin meat, so Japanese consumers are tricked into buying dolphin meat that is intentionally mislabeled. There is another essential and rather shocking aspect to the dolphin hunt: During a meeting with the Taiji fishermen in January 2004, the fishermen told us that they not only hunt dolphins for their meat and for sale to the dolphinarium industry, but they hunt them “as a form of pest control.” From the fishermen’s perspective, the dolphins eat too much fish, and the fishermen are simply killing the competition. This was the first time Japanese dolphin hunters openly admitted to executing pest control on dolphins. The desire to keep the dolphin population down is a major reason why the Japanese government is keen to issue permits for the hunts. It is not really about providing meat for the Japanese people, and it is certainly not about maintaining what the fishermen repeatedly refer to as their “tradition” or “culture.” It is about eradicating as many dolphins as possible in order to make the oceans’ fish available to themselves. We know of several areas in Japan where local dolphin populations have declined or been eradicated by this mentality, fully supported by the Japanese government. In addition, the powerful Japan Fisheries Agency promotes the killing of dolphins and whales as part of Japan’s “food culture”, despite the fact that few Japanese people are interested in eating whale and dolphin meat anymore. This is evidenced by the huge surplus of meat kept in refrigerated warehouses. 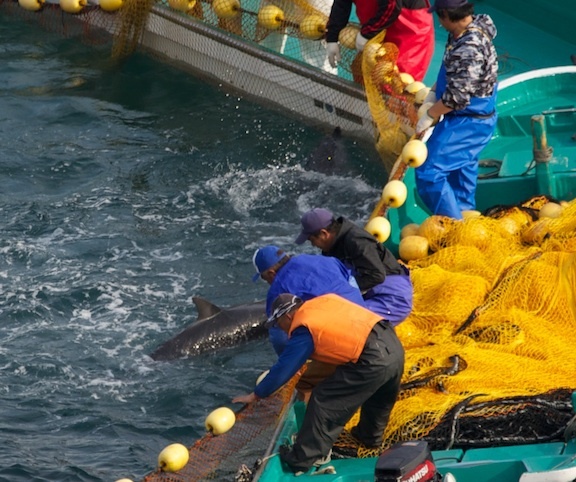 The Agency sees their role as protecting the Japanese people from the consequences of overfishing worldwide – if environmentalists shut down whaling and dolphin killing, they believe that other Japanese fishing methods and species might be attacked. The whaling staff of the Japan Fisheries Agency has an additional (and very personal) incentive to maintain the hunts: the sale of whale meat and government subsidies provided to protect whaling pays for their salaries. If the killing of whales and dolphins end, these bureaucrats will be out of a job. What species do they kill and how many? 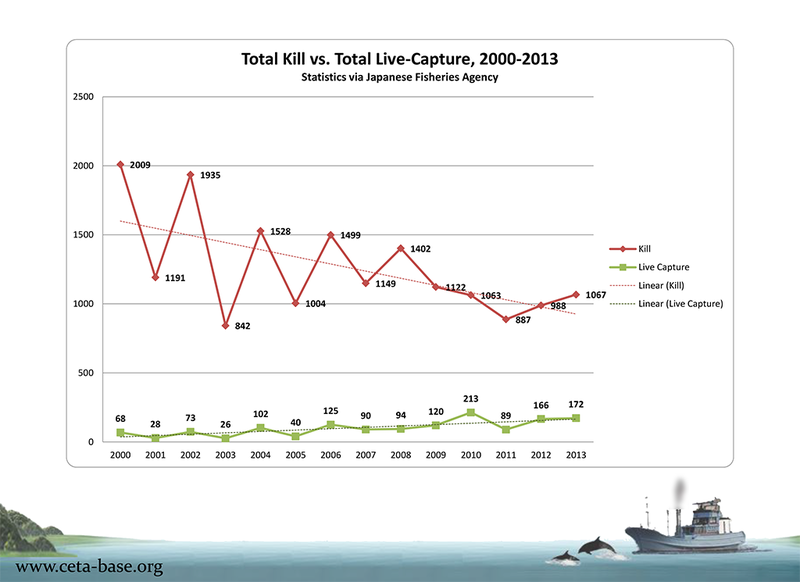 The Japanese Fisheries Agency has authorized fishermen to kill or capture almost 16,000 cetaceans annually. When ‘The Cove’ documentary was being made, the number of annual permits issued at that time was more than 23,000. 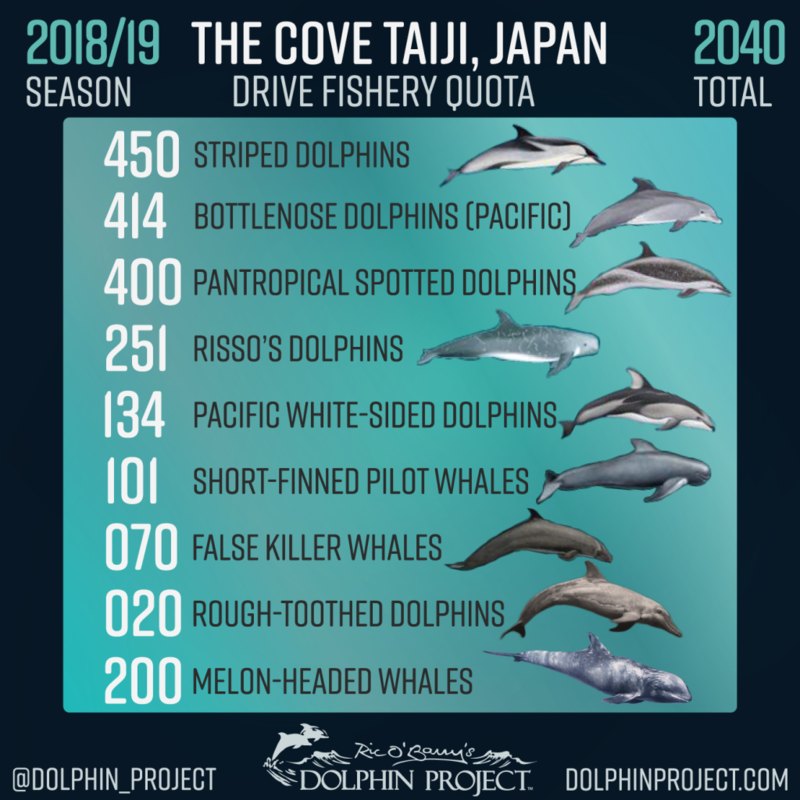 Almost 2,000 of these may be killed in the dolphin drive hunt in Taiji, also known as the “drive fishery.” In 2016, quotas were set for seven species of dolphins. The rest are killed with hand-held harpoons from small boats at sea around the coast of Japan, especially in northern ports. 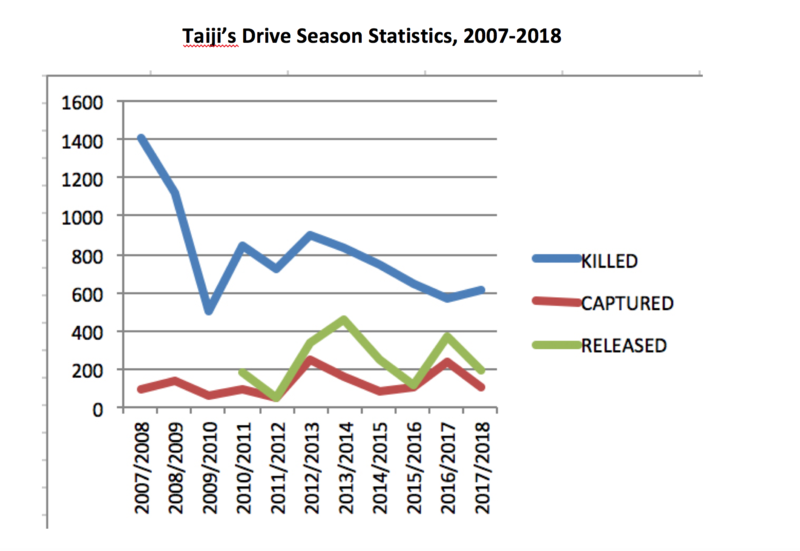 While quotas are going down for the drive fishery, and fewer dolphins are being slaughtered, there has been a gradual increase in the numbers of dolphins captured for the display industry. Risso’s dolphin captured in the Cove. Why do the hunters leave dolphins in the cove overnight before they kill them? The species that are held overnight tend to be ‘money dolphins’ – like the bottlenose, although pilot whales are often held through the night as well. Attractive dolphins such as bottlenose are in high demand by aquaria worldwide. Following a successful drive, the following day the bottlenose pod are often raided of its young, trainable dolphins. These animals are then sold to marine parks for large amounts of money. In the case of slaughter, the drive can take hours, and by the time the fishermen have chased the dolphins into the killing cove and sealed their fate with nets, they just want to go home. It’s much more convenient for them to rest up and return to the cove the next morning to kill and butcher the dolphins. Why can’t you put out noise makers or boats to block the hunts? We are often asked this question. The people of Taiji and the hunts are closely guarded by the Japanese police and Coast Guard. If a boat gets too close to the dolphin drive, they are cut off by Coast Guard vessels and warned to stay away. Any noise making machine place on the bottom of the ocean would be heard and found by the fishermen or the Coast Guard, who would pull it up and disable it. It is also likely that our Cove Monitors would get arrested and/or deported for any interference in the dolphin hunts. When standing at the mouth of the killing cove in Taiji, we have often looked down at a pod of dolphins trapped in the killing cove. From above, it’s obvious that all the dolphins have to do is jump the nets, and they would be out of harm’s way. But the dolphins don’t have this advantage of seeing everything from above. They don’t know what’s on the other side of the nets. Have you ever seen dolphins escape after they were chased into the killing cove? Yes, a few times. Once, a young pilot whale, no more than a year old, swam across the net in a place where it had been placed so low that its upper edge touched the surface of the water. The pilot whale managed to do the same with the second net, and for a little while was free to swim away. A large pilot whale immediately joined the young calf. Although they could have easily fled, the pilot whales remained close to their still trapped pod members. It was a dolphin trainer who alerted the fishermen that two pilot whales had escaped. 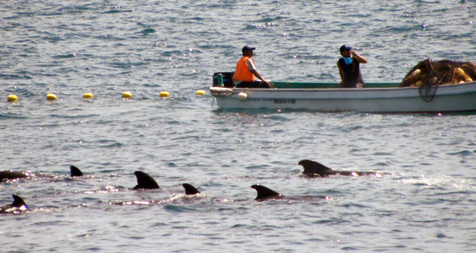 Aided by the trainer, the fishermen brought their boats around and chased the pilot whales back into the killing cove. The entire pod of pilot whales was killed and butchered the next morning. Pilot whales are highly socialized and won’t leave fellow family/pod members. Why do members of the dolphinarium industry take advantage of the hunt? We have been reporting from Taiji regularly since 2003, and the most shocking aspect of the dolphin drive hunt is the active role that dolphinariums play in sustaining the hunt. By doing business with the dolphin hunters, dolphinariums are helping to maintain the dolphin drive hunts. A live dolphin sold to a dolphinarium brings in a much higher profit than does a dead dolphin sold as meat, which brings in about $600. 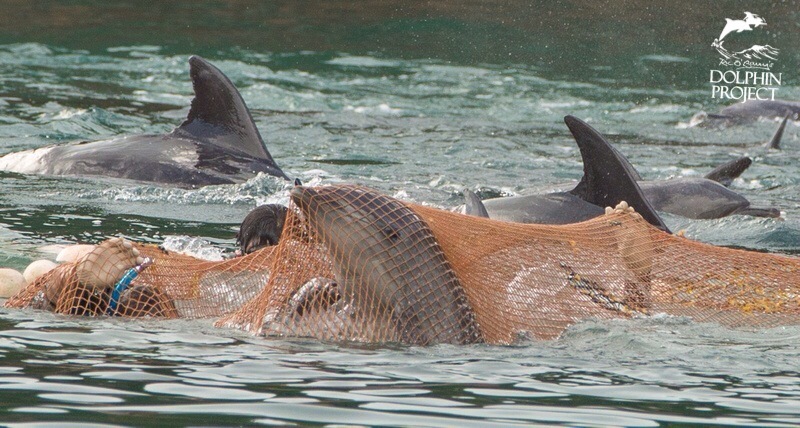 In Taiji, live bottlenose dolphins have been sold for as much as $152,000 USD each. The captivity industry drives the dolphin slaughter, thus, the best way to end the slaughter is to not buy a ticket to a dolphin show. 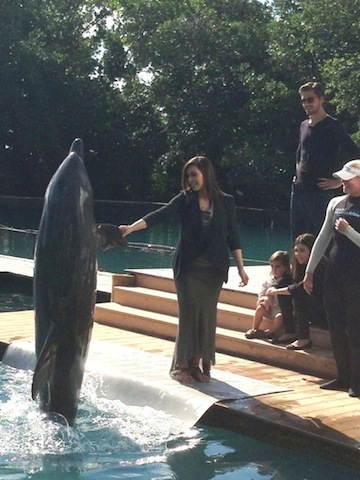 But are dolphinariums not saving the selected dolphins from slaughter? Dolphinariums that purchase dolphins from the dolphin hunters will tell you they are “saving” the dolphins from slaughter. We view this as nothing but propaganda aimed at concealing the fact that they are fueling the dolphin hunt by making it tremendously profitable. Working side-by-side, dolphin trainers and fishermen force the dolphins into shallow water, haul the dolphins ashore and line them up. The trainers then inspect the dolphins one by one, choosing only the ones that can be used in dolphin shows and captive dolphin swim programs. They are typically looking for young, unblemished dolphins. They “save” only the ones that can be commercially exploited in the display industry. The ones that are too old, too young, are the wrong gender or have too many blemishes are not worth “saving” to them, so they let the fishermen kill them. We have seen dolphin trainers assist the fishermen in bringing the rejects to the killing cove to be killed. 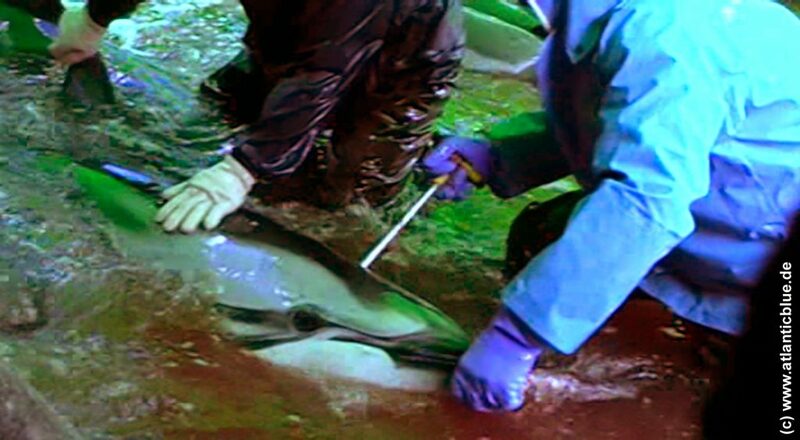 They don’t even bother to inspect the very young babies, knowing that they can’t be used in dolphin shows. Using ropes and physical force, dolphin trainers separate the babies from their mothers. They haul the mothers close to the rocky beach to measure and inspect them. The babies cry out, but they are doomed, as neither trainers or hunters will help them. If dolphin trainers and marine mammal parks were interested in “saving” dolphins, they would be there with a protest sign and video cameras, just like we are. Instead, they take advantage of the dolphin slaughter to beef up the huge profits made from captive dolphins. The grueling selection process drags on for several hours, and some dolphins die from either shock, injuries or exhaustion. Some make frantic attempts at staying at the surface of the water, but their pectoral fins have been dislocated or broken. Is it true that the dolphin trainers actually assist in killing dolphins? Yes. Several times, we have seen dolphin trainers and dolphin hunters in the same boat, laughing and joking around after a large pod of dolphins have just been killed. 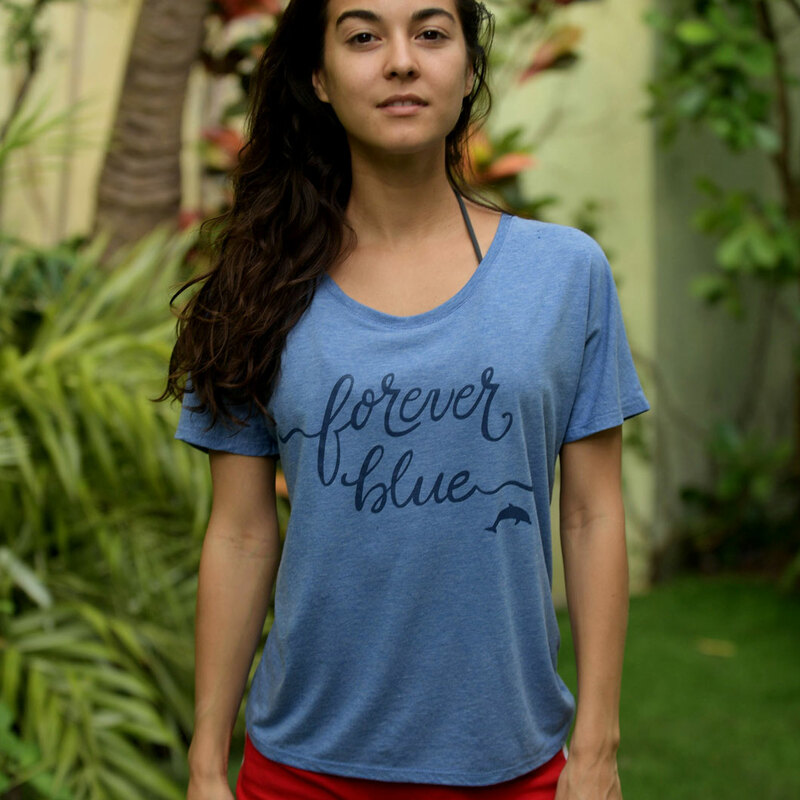 We have seen members of the international aquarium and zoo industry get in the water with the dolphin hunters, tying ropes around the dolphins’ tail flukes so that the fishermen could tie the dolphins to their boats. Often times, the dolphins are so exhausted at this point, they can’t even stay afloat. Some have large amounts of blood coming out of their blowholes. The dolphin trainers don’t seem to care. 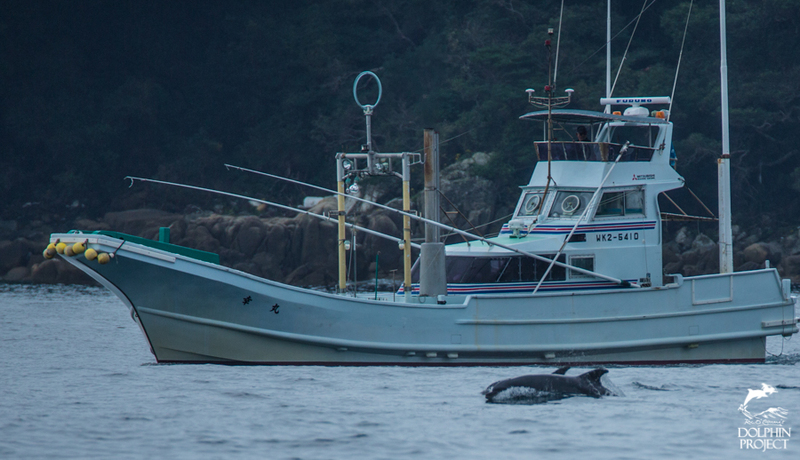 The fishermen haul the dolphins to the killing cove, with the dolphins’ blowholes underwater. Dolphin trainers have tormented the dolphins for hours. Some are in shock. Others are seriously injured, and they can’t breathe. Now, they are going to be killed and slaughtered. Not even pregnant females or young calves will be spared. But the dolphin trainers, who claim to “love” dolphins, don’t try to save any of them. It is the cruelest scene we have ever witnessed. Which aquariums purchase Taiji dolphins for captivity? A number of aquariums and swim-with-dolphins programs around the world purchase live dolphins caught in the bloody drive hunts of Taiji. Japan alone has more than 50 dolphinariums and swim-with-dolphins programs, ranging from large aquarium facilities with huge tanks and dolphin shows to small tanks at motels or floating sea pens in harbors. In the last ten years, dolphin exports from Taiji, Japan, have gone to China, Korea, Ukraine, Russia, Egypt, Iran, Turkey, the United Arab Emirates, Thailand, Saudi Arabia, Taiwan, and the Philippines. U..S aquariums like SeaWorld claim they don’t import dolphins from Taiji, but prior to a ruling by the NMFS stating that imports from Taiji, Japan, were illegal because U.S. law specifies that captures of marine mammals should be humane, small cetaceans like false killer whales were regularly obtained by SeaWorld, the Indianapolis Zoological Society, Miami Seaquarium, and the U.S. Navy. What’s wrong with eating dolphin meat? Cruelty issues aside, dolphin meat from drive hunts in Taiji, Wakayama prefecture, has proven to be highly contaminated with toxic chemicals such as mercury, methyl mercury and PCBs. Repeated chemical analyses have shown that the level of mercury in dolphin meat is much higher than the maximum allowable level set by the Ministry of Health, Labor and Welfare of Japan and the World Health Organization. The contamination of dolphin meat by mercury in Japan has been documented time and time again, by both nongovernmental organizations and by Japanese scientists. There is worldwide concern that mercury accumulated in the human body poses a serious health risk, especially to pregnant women and children. 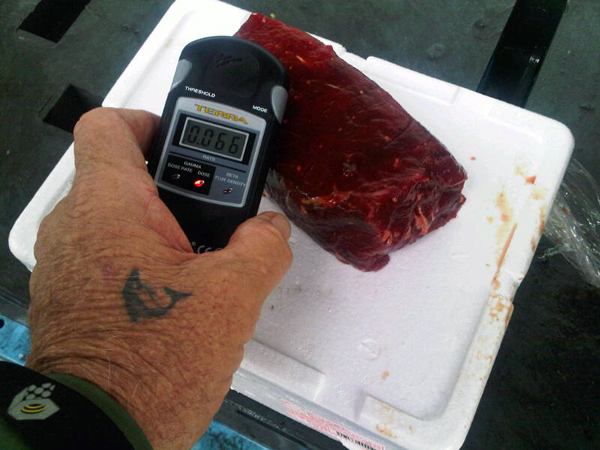 The contaminated dolphin meat does not have a warning label. Where else in the world are dolphins being slaughtered? The horrendous dolphin drive hunts we see in Taiji have been repeated in the Faroe Islands in the Atlantic Ocean and in the Solomon Islands. The Faroe Islanders hunt pilot whales annually and have so far resisted calls to end the slaughter, with the whale kill varying year to year from a few hundred to a thousand or more. In Latin America and Indonesia, there are reports of dolphins being killed for meat and for bait for fish. Dolphins and other whales and marine mammals are also killed for subsistence purposes in Greenland, Alaska and Siberia, although some of these hunts are controversial and certainly still cruel. There are serious threats to dolphins around the world from entanglement in fishing nets and gear and from pollution problems. Japan and other nations should join in seeking ways to protect dolphins and other marine mammals, and work to clean up the oceans, rather than cling to unpopular, dying hunts that serve no nutritional purpose anymore. Cows are mistreated in the West, how can we criticize the dolphin hunt? Cows, pigs and other domesticated animals are also being consumed in great numbers in Japan. If the meat of these animals was contaminated with mercury, the Japanese people and the Western world would stop eating it immediately. The inhumane treatment of domesticated animals in Western slaughterhouses presents yet another pressing animal welfare issue. There is of course a conservation element to our work as well. While none of the dolphin species being killed in Japan’s waters are currently endangered worldwide, local extinction of populations of these dolphins is quite possible, likely causing harm to the whole local ecosystem. One might also simply say: Two wrongs don’t make a right. What right do you as Westerners have to tell the Japanese what to do? 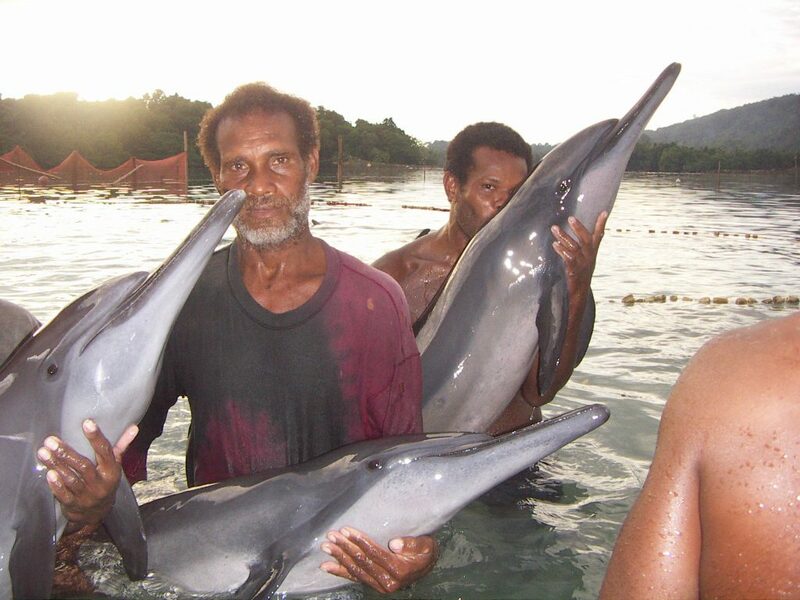 We usually receive this question from the fishermen who make a living hunting dolphins. Government officials in Japan are trying to turn the dolphin slaughter issue into one of cultural imperialism. But we are not telling the Japanese people what to do. On the contrary, we are fighting for their constitutional right to know the facts about an issue that the fishermen and their government are systematically hiding from them. Most people in Japan have no idea that the dolphin slaughter is going on – just like they had no idea that the dolphin meat that was served to their children in school lunch programs was poisoned with mercury. The fishermen once told us that the public has no right to know about it. We say the Japanese public has every right to know about it. 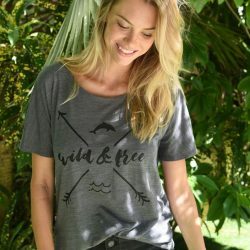 We think the Japanese people are being exploited by the fishermen and their government in their self-serving quest to turn the dolphin drive hunt into an issue of “food culture” when, in realty, it’s about something entirely different: pest control and contaminated meat unfit for human consumption. It is the fishermen and their government that are telling the Japanese people what to do and think. They are the ones who decide what the public can and cannot know about. Many Westerners wrongly blame an entire Japanese nation for something they know nothing about and are not guilty of. The Japanese people are entitled to at least know why the rest of the world is so upset with them. Article 21 of the Japanese Constitution guarantees them that right. More importantly, they have a right to make up their own minds regarding their food culture, rather than have their government and some few fishermen dictate to them what their “culture” should be. 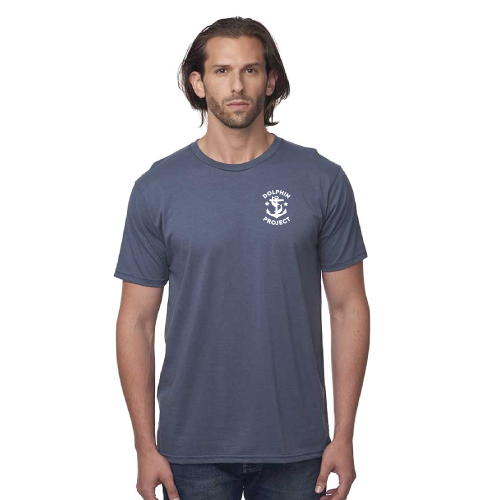 How is the Dolphin Project Campaign related to The Cove Documentary? “The Cove” won the Academy Award for Best Documentary in 2010. It has also won dozens of film festival awards. “The Cove” is an outstanding, historic documentary, and we encourage everyone to rent it, buy it, and see it. “The Cove” features the story of Ric O’Barry, Founder/Director of Dolphin Project and his worldwide efforts to protect dolphins. Dolphin Project did not make “The Cove” movie – we just appeared in it! Therefore, we do not own the rights, and we receive no money from DVD sales. There are lots of things that people can do to help end the slaughter of dolphins in Japan. Go to our Take Action page on this website and take the steps outlined there. Share this page with your friends, neighbors, family, classmates, colleagues and everyone else who will be a voice for the voiceless. Also visit our ACTIVISM GUIDE and VOLUNTEER pages for more information on how you can make a difference. Everybody can do something to help our efforts. We hope you’ll join us in the mission.